Is it a habit for you to start your day with something sweet to eat or drink? Do you sweeten your coffee, enjoy sugary cereals, snack on muffins or energy bars? Consuming sugar is habit-forming, and you may be eating more of it than you realize. Once you delve into reading labels, you will likely find that some variation of sugar is added to common items that don’t even have a sweet flavor, such as bread, crackers, condiments and prepared savory foods. There are natural alternatives which can satisfy your sweet tooth and help reduce sugar cravings. Are you ready to kick the sugar habit? Check out these simple tips to get started in a new direction before the holiday season. Remember, getting positive lifestyle habits in place can be the best assurance that you can stick to your wellness goals, even during holiday meals or social events that are themed around sweets and desserts. ARE ALL SWEETENERS CREATED EQUALLY? Most packaged foods contain some type of sugar. 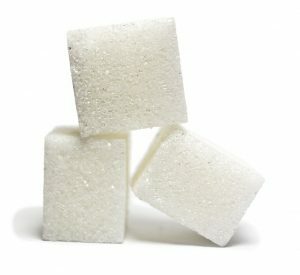 Common forms of sugar are standard white sugar, brown sugar, honey, maple syrup, turbinado sugar, cane sugar, coconut sugar, high fructose corn syrup, fruit juice and brown rice syrup. These added ingredients tantalize the taste buds, but they have a tremendously addictive property, which can make it difficult to make healthy choices. The bottom line is that sugar is addictive. Your body gets used to sweet flavors, and continues to want more and more. The best tip to remember is the less sweet flavors you consume, the less you will crave. There are culinary herbs with medicinal benefits that you may already have in your spice cabinet. Cinnamon, ginger and fenugreek are three commonly used seasonings that can help with sugar cravings, making it easier to kick the habit. Try this easy spicy tea recipe. Add all ingredients to a pot, cover with a lid and bring to a boil. Reduce heat and let simmer for 10 minutes. Remove from heat and strain solids. Let cool and sip throughout the day. This tea can be refrigerated and enjoyed as a cold beverage. One of the most important things I tell my clients when they are trying to wean off of sugar is to keep it out of their house. Plan ahead and stock your kitchen with healthy snacks and alternatives. Fresh fruits and vegetables are not only nutritious, but have a great crunch and make excellent snack foods. It may be easiest to start with smaller portions of sweets than you would normally have. For example, if you would normally eat five cookies, set aside only four cookies and put the package away. This can help cut back on your consumption until you are ready to take bigger steps. When you are ready to find replacements, try switching to fresh fruits instead of items that contain any sort of sweetener. Once you make the transition to fruit, try eating fruits that are less sweet. For example, bananas have a very high sugar content. Although the sugar is naturally occurring, it can still tempt your taste buds. 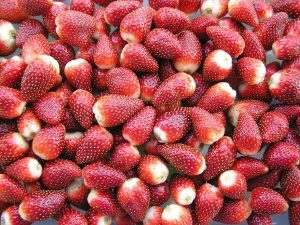 Examples of lesser sweet fruits are blueberries, strawberries, raspberries, blackberries, grapefruits and green apples. It can take some time for your body to get used to dietary changes; be patient and keep going! If you are looking for help while making adjustments in your diet, consider trying acupuncture. It is a holistic form of complimentary medicine that can help with cravings, appetite and portion control, as well as weight loss. How does acupuncture work? This is a question I am frequently asked. 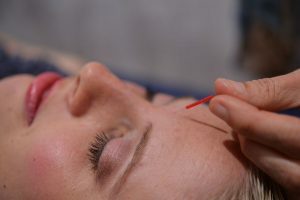 It is a method of inserting tiny needles into acupuncture points along meridians, or energy pathways in the body. The sessions emphasize a holistic approach, looking at the body as a whole, rather than its individual parts. Most sugary foods are also high in empty calories, so you may find weight loss as the number one benefit. Mood swings as well as energy highs and lows can also be stabilized from controlling sugar intake. Remember to eat complete meals and stop eating when you are full. Don’t feel obligated to clean your plate; if you are satisfied from your meal, you will be less tempted to follow with dessert. Go take a look at what’s inside your kitchen cabinets and have fun turning over a new leaf! Originally published in “A Better You” of the Orlando Sentinel newspaper September 2016. By Samadhi Artemisa, Acupuncture Physician. Reprinted with permission.